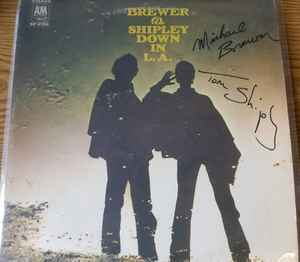 Brewer & Shipley* ‎– Down In L.A. This reel tape is amazing. Imagine all vinyl imperfections gone. No equalized low end, no transient distortion, no static or dust pops, extremely low tape hiss. That is what you have here. Audio perfection and excellent harmonies, psychedelic song writing and music. This reel is an audiophiles dream. Grateful for the chance to own and listen to this until the day I die and it gets passed on to someone new.